FREDERIKSTED, St Croix, USVI— US Virgin Islands (USVI) Governor Kenneth E. Mapp shared during his Friday evening, October 13, 2017, press briefing what he considered to be a lot of good news, ranging from additional linemen coming into the territory, his talks with congresspeople that went well relative to funding for the USVI, and a surge in cruise calls to the islands following the passage of hurricanes that ravaged multiple Caribbean destinations. 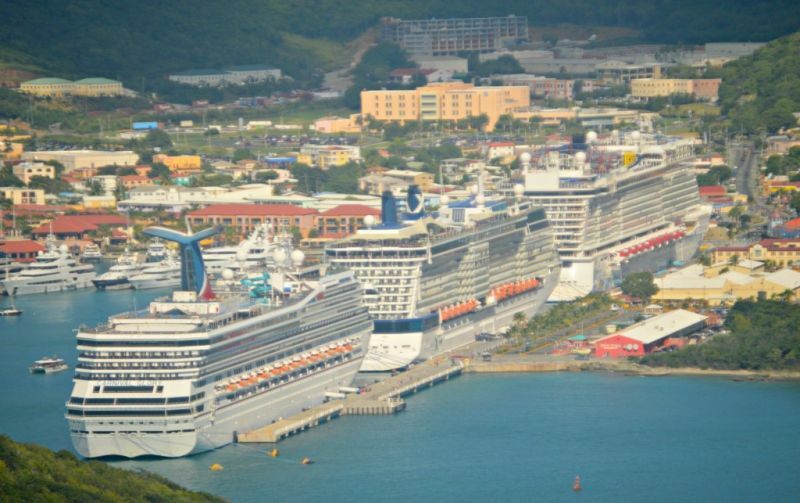 Mr. Mapp said the territory will open in earnest on November 11, 2017 for cruise ships, and there was excitement in his voice when he announced that St. Croix port calls had climbed from 40 to 90 this season. 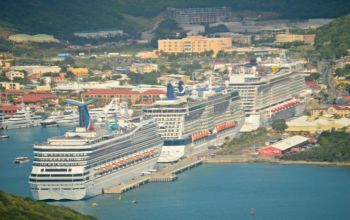 The number also surged in St. Thomas, which traditionally accounts for the lion’s share of cruise ships. But the governor said his administration would share more information next week, as the number of requests continue to grow. Mr. Mapp said while the additional calls were encouraging, the territory would be careful in how many cruise ships it accepts this season, as the USVI is still in recovery mode and would not want to damage its product by inviting an overwhelming amount of tourists. The Dept. of Education’s aim to reopen St. Croix schools on October 16, 2017 fell through, with Mr. Mapp announcing an October 23 tentative date. He said some schools will be merged following the destruction that at least two — Arthur Richards Junior High and Eulalie Rivera Elementary schools sustained. The governor will meet with D.O.E. Commissioner Sharon McCollum next week to further discuss school reopening plans. On the administration’s efforts in Washington, Mr. Mapp praised Dept. of Finance Commissioner Valdamier Collens and the government’s lobbyists for working with Congress to help shape language in the $36.5 billion hurricane and wildfire package making its way through Congress. The House approved the measure 353-69, and it’s now awaiting consideration in the Senate. Language changed to benefit the USVI included removing the $5 million cap on community disaster loans for U.S. territories, and a change in formula that had restricted U.S. territories from receiving more than 25 percent of funding for damages caused by disasters, according to the governor. The U.S. Department of Housing and Urban Development (HUD) will send its inspector general to the USVI to assess the local government’s readiness to receive the millions of dollars that will soon be flowing into the islands. Mr. Mapp said his government would look at its procurement processes and ensure that nothing stands in the way of the pending federal dollars to help rebuild the territory.